If you’re reading this, then at some point in the distant (or not-so-distant past), the end of August signified a time for back-to-school shopping for you. Us too. And, as stressful as it was at the time (because who doesn’t want to come back with a bang), we have to admit we kind of miss it. There was something exciting about shopping for what felt like your chance for a post-summer revamp, with endless opportunity to come back from break better than ever. Well, fear not because today we’ve found a way to relive our back-to-school shopping days without the actual school part. A fresh work tote is like the adult backpack, and you deserve to come back from your summer trip with a shiny new one to show off (and carry all your essentials, of course). If you wear a lot of black, this is the perfect, approachable color to break up your looks. A colorblock tote will also serve you well at the beach! On a budget? This tote will have you looking like a million bucks for just $28. This tote will add a sophisticated touch to even the most casual of outfits. A bag like this will serve you for years to come. Mansur Gavriel's sun bag comes with a shoulder strap for those times where you need to give your arms a rest. Can you believe this is faux leather?! Monogram this classic tote for a personal and elevated touch. We love a metal accent. This tote will fit all your belongings but still look chic post-office. What more can you ask for in a $33 tote? 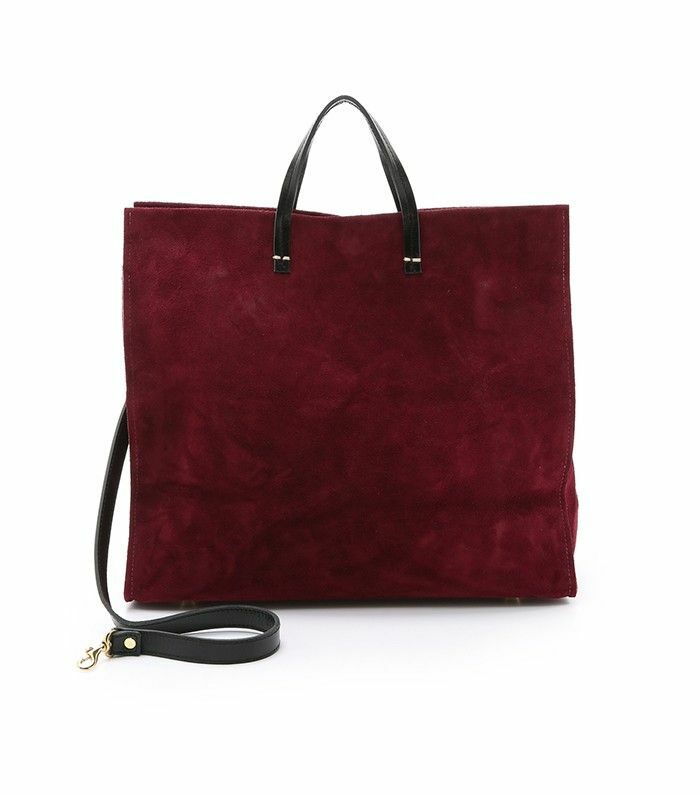 Nina Ricci's Irrisor tote comes in all shapes, colors, and sizes, but this has to be our favorite. Are you bag-obsessed too? You'll love looking at this eye candy from Dior.